Shopping for used cars for sale near New Britain? 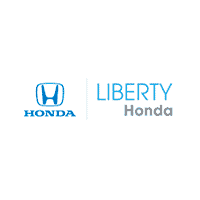 With over 146 used cars, trucks, and SUVs in stock, look no further than our inventory here at Liberty Honda. Since we want to make sure we have a used vehicle for sale to suit every budget and preference, we offer a large selection of used vehicles priced under $10k and a wide variety of certified pre-owned vehicles. For some of our most competitive deals, you’ll want to take a look at our rotating used vehicle specials as well. With so many used Honda and non-Honda cars to choose from, we’re sure you’ll find a vehicle that’s perfect for you! Gray 2004 Honda Civic LX FWD 4-Speed Automatic with Overdrive 1.7L I4 SMPI SOHC All New Tires!, Civic LX. To see more photos of this Honda Civic LX finished in Gray please visit our website at www.libertyhonda.com. Recent Arrival! Odometer is 52007 miles below market average! 29/38 City/Highway MPG Awards: * 2004 KBB.com Best Resale Value Awards * 2004 KBB.com 10 Best Used Cars Under $8,000 For more information, visit www.kbb.com. Kelley Blue Book is a registered trademark of Kelley Blue Book Co., Inc.
Certified. Blue 2016 Honda Civic LX FWD CVT 2.0L I4 DOHC 16V i-VTEC **Honda CERTIFIED**, Civic LX. To see more photos of this Honda Civic LX finished in Blue please visit our website at www.libertyhonda.com. Recent Arrival! 31/41 City/Highway MPG Honda Certified Pre-Owned Details: * Transferable Warranty * 182 Point Inspection * Powertrain Limited Warranty: 84 Month/100,000 Mile (whichever comes first) from original in-service date * Warranty Deductible: $0 * Roadside Assistance with Honda Care purchase * Vehicle History * Limited Warranty: 12 Month/12,000 Mile (whichever comes first) after new car warranty expires or from certified purchase date Awards: * 2016 IIHS Top Safety Pick+ (When equipped with honda sensing) * NACTOY 2016 North American Car of the Year * 2016 KBB.com Brand Image Awards 2016 Kelley Blue Book Brand Image Awards are based on the Brand Watch(tm) study from Kelley Blue Book Market Intelligence. Award calculated among non-luxury shoppers. For more information, visit www.kbb.com. Kelley Blue Book is a registered trademark of Kelley Blue Book Co., Inc.
Certified. Cherry 2016 Honda Civic LX FWD CVT 2.0L I4 DOHC 16V i-VTEC **Honda CERTIFIED**, Civic LX. To see more photos of this Honda Civic LX finished in Cherry please visit our website at www.libertyhonda.com. Recent Arrival! Odometer is 4174 miles below market average! 31/41 City/Highway MPG Honda Certified Pre-Owned Details: * Roadside Assistance with Honda Care purchase * Warranty Deductible: $0 * Vehicle History * Limited Warranty: 12 Month/12,000 Mile (whichever comes first) after new car warranty expires or from certified purchase date * 182 Point Inspection * Powertrain Limited Warranty: 84 Month/100,000 Mile (whichever comes first) from original in-service date * Transferable Warranty Awards: * 2016 IIHS Top Safety Pick+ (When equipped with honda sensing) * NACTOY 2016 North American Car of the Year * 2016 KBB.com Brand Image Awards 2016 Kelley Blue Book Brand Image Awards are based on the Brand Watch(tm) study from Kelley Blue Book Market Intelligence. Award calculated among non-luxury shoppers. For more information, visit www.kbb.com. Kelley Blue Book is a registered trademark of Kelley Blue Book Co., Inc.
Certified. Blue 2016 Honda Civic LX FWD CVT 2.0L I4 DOHC 16V i-VTEC **Honda CERTIFIED**, Civic LX. To see more photos of this Honda Civic LX finished in Blue please visit our website at www.libertyhonda.com. Recent Arrival! Odometer is 2872 miles below market average! 31/41 City/Highway MPG Honda Certified Pre-Owned Details: * Transferable Warranty * Powertrain Limited Warranty: 84 Month/100,000 Mile (whichever comes first) from original in-service date * 182 Point Inspection * Limited Warranty: 12 Month/12,000 Mile (whichever comes first) after new car warranty expires or from certified purchase date * Warranty Deductible: $0 * Vehicle History * Roadside Assistance with Honda Care purchase Awards: * 2016 IIHS Top Safety Pick+ (When equipped with honda sensing) * NACTOY 2016 North American Car of the Year * 2016 KBB.com Brand Image Awards 2016 Kelley Blue Book Brand Image Awards are based on the Brand Watch(tm) study from Kelley Blue Book Market Intelligence. Award calculated among non-luxury shoppers. For more information, visit www.kbb.com. Kelley Blue Book is a registered trademark of Kelley Blue Book Co., Inc.
Certified. Red 2017 Honda Civic LX FWD CVT 2.0L I4 DOHC 16V i-VTEC **Honda CERTIFIED**, Civic LX. To see more photos of this Honda Civic LX finished in Red please visit our website at www.libertyhonda.com. Odometer is 1075 miles below market average! 31/40 City/Highway MPG Honda Certified Pre-Owned Details: * Roadside Assistance with Honda Care purchase * Limited Warranty: 12 Month/12,000 Mile (whichever comes first) after new car warranty expires or from certified purchase date * Transferable Warranty * Warranty Deductible: $0 * Powertrain Limited Warranty: 84 Month/100,000 Mile (whichever comes first) from original in-service date * Vehicle History * 182 Point Inspection Awards: * 2017 IIHS Top Safety Pick (When equipped with Honda Sensing) * 2017 KBB.com Brand Image Awards * 2017 KBB.com 10 Most Awarded Brands 2016 Kelley Blue Book Brand Image Awards are based on the Brand Watch(tm) study from Kelley Blue Book Market Intelligence. Award calculated among non-luxury shoppers. For more information, visit www.kbb.com. Kelley Blue Book is a registered trademark of Kelley Blue Book Co., Inc.
Certified. White 2016 Honda Civic LX FWD CVT 2.0L I4 DOHC 16V i-VTEC **Honda CERTIFIED**, Civic LX. To see more photos of this Honda Civic LX finished in White please visit our website at www.libertyhonda.com. Recent Arrival! 31/41 City/Highway MPG Honda Certified Pre-Owned Details: * Warranty Deductible: $0 * Powertrain Limited Warranty: 84 Month/100,000 Mile (whichever comes first) from original in-service date * Roadside Assistance with Honda Care purchase * 182 Point Inspection * Vehicle History * Transferable Warranty * Limited Warranty: 12 Month/12,000 Mile (whichever comes first) after new car warranty expires or from certified purchase date Awards: * 2016 IIHS Top Safety Pick+ (When equipped with honda sensing) * NACTOY 2016 North American Car of the Year * 2016 KBB.com Brand Image Awards 2016 Kelley Blue Book Brand Image Awards are based on the Brand Watch(tm) study from Kelley Blue Book Market Intelligence. Award calculated among non-luxury shoppers. For more information, visit www.kbb.com. Kelley Blue Book is a registered trademark of Kelley Blue Book Co., Inc.
Certified. White 2016 Honda Civic LX FWD CVT 2.0L I4 DOHC 16V i-VTEC **Honda CERTIFIED**, Civic LX. To see more photos of this Honda Civic LX finished in White please visit our website at www.libertyhonda.com. Recent Arrival! 31/41 City/Highway MPG Honda Certified Pre-Owned Details: * 182 Point Inspection * Warranty Deductible: $0 * Powertrain Limited Warranty: 84 Month/100,000 Mile (whichever comes first) from original in-service date * Vehicle History * Roadside Assistance with Honda Care purchase * Limited Warranty: 12 Month/12,000 Mile (whichever comes first) after new car warranty expires or from certified purchase date * Transferable Warranty Awards: * 2016 IIHS Top Safety Pick+ (When equipped with honda sensing) * NACTOY 2016 North American Car of the Year * 2016 KBB.com Brand Image Awards 2016 Kelley Blue Book Brand Image Awards are based on the Brand Watch(tm) study from Kelley Blue Book Market Intelligence. Award calculated among non-luxury shoppers. For more information, visit www.kbb.com. Kelley Blue Book is a registered trademark of Kelley Blue Book Co., Inc.
Certified. Gray 2016 Honda Accord Sport FWD CVT 2.4L I4 DOHC i-VTEC 16V **Honda CERTIFIED**, Accord Sport. To see more photos of this Honda Accord Sport finished in Gray please visit our website at www.libertyhonda.com. Recent Arrival! 26/35 City/Highway MPG Honda Certified Pre-Owned Details: * 182 Point Inspection * Roadside Assistance with Honda Care purchase * Transferable Warranty * Warranty Deductible: $0 * Vehicle History * Powertrain Limited Warranty: 84 Month/100,000 Mile (whichever comes first) from original in-service date * Limited Warranty: 12 Month/12,000 Mile (whichever comes first) after new car warranty expires or from certified purchase date Awards: * ALG Residual Value Awards * 2016 KBB.com Brand Image Awards 2016 Kelley Blue Book Brand Image Awards are based on the Brand Watch(tm) study from Kelley Blue Book Market Intelligence. Award calculated among non-luxury shoppers. For more information, visit www.kbb.com. Kelley Blue Book is a registered trademark of Kelley Blue Book Co., Inc.
Certified. Silver 2017 Honda Civic LX FWD CVT 2.0L I4 DOHC 16V i-VTEC **Honda CERTIFIED**, **Under Warranty to 48K Bumper to Bumper & 100K Powertrain**, Civic LX. To see more photos of this Honda Civic LX finished in Silver please visit our website at www.libertyhonda.com. Odometer is 10451 miles below market average! 31/40 City/Highway MPG Honda Certified Pre-Owned Details: * Limited Warranty: 12 Month/12,000 Mile (whichever comes first) after new car warranty expires or from certified purchase date * Warranty Deductible: $0 * Powertrain Limited Warranty: 84 Month/100,000 Mile (whichever comes first) from original in-service date * 182 Point Inspection * Vehicle History * Transferable Warranty * Roadside Assistance with Honda Care purchase Awards: * 2017 IIHS Top Safety Pick (When equipped with Honda Sensing) * 2017 KBB.com Brand Image Awards * 2017 KBB.com 10 Most Awarded Brands 2016 Kelley Blue Book Brand Image Awards are based on the Brand Watch(tm) study from Kelley Blue Book Market Intelligence. Award calculated among non-luxury shoppers. For more information, visit www.kbb.com. Kelley Blue Book is a registered trademark of Kelley Blue Book Co., Inc.
Certified. Silver 2016 Honda Civic LX FWD CVT 2.0L I4 DOHC 16V i-VTEC **Honda CERTIFIED**, Civic LX. To see more photos of this Honda Civic LX finished in Silver please visit our website at www.libertyhonda.com. Recent Arrival! 31/41 City/Highway MPG Honda Certified Pre-Owned Details: * 182 Point Inspection * Warranty Deductible: $0 * Powertrain Limited Warranty: 84 Month/100,000 Mile (whichever comes first) from original in-service date * Roadside Assistance with Honda Care purchase * Limited Warranty: 12 Month/12,000 Mile (whichever comes first) after new car warranty expires or from certified purchase date * Transferable Warranty * Vehicle History Awards: * 2016 IIHS Top Safety Pick+ (When equipped with honda sensing) * NACTOY 2016 North American Car of the Year * 2016 KBB.com Brand Image Awards 2016 Kelley Blue Book Brand Image Awards are based on the Brand Watch(tm) study from Kelley Blue Book Market Intelligence. Award calculated among non-luxury shoppers. For more information, visit www.kbb.com. Kelley Blue Book is a registered trademark of Kelley Blue Book Co., Inc.
Get our Best Price First – No more wasting hours haggling over price! Perfect Price Policy – No pressure shopping experience! Once you’ve browsed our inventory and found a vehicle you’re interested in, it’s time to come take a closer look. Contact us today to schedule a test drive at our showroom in Hartford near Manchester.